Uncovering the Cells and Circuits of Touch in Normal and Pathological Settings. (Moehring F, Halder P, Seal RP, Stucky CL.) Neuron. 2018 Oct 24;100(2):349-360. Children and adolescents with sickle cell disease have worse cold and mechanical hypersensitivity during acute painful events. (Brandow AM, Hansen K, Nugent M, Pan A, Panepinto JA, Stucky CL.) Pain. 2018 Oct 18. Optogenetic Inhibition of CGRPα Sensory Neurons Reveals Their Distinct Roles in Neuropathic and Incisional Pain. (Cowie AM, Moehring F, O'Hara C, Stucky CL.) J Neurosci. 2018 Jun 20;38(25):5807-5825. Quantitative Top-Down Mass Spectrometry Identifies Proteoforms Differentially Released during Mechanical Stimulation of Mouse Skin. (Moehring F, Waas M, Keppel TR, Rathore D, Cowie AM, Stucky CL, Gundry RL.) J Proteome Res. 2018 Aug 03;17(8):2635-2648. Chemokine (c-c motif) receptor 2 mediates mechanical and cold hypersensitivity in sickle cell disease mice. (Sadler KE, Zappia KJ, OʼHara CL, Langer SN, Weyer AD, Hillery CA, Stucky CL.) Pain. 2018 Aug;159(8):1652-1663. Neuropathic pain in a Fabry disease rat model. (Miller JJ, Aoki K, Moehring F, Murphy CA, O'Hara CL, Tiemeyer M, Stucky CL, Dahms NM.) JCI Insight. 2018 Mar 22;3(6). Keratinocytes mediate innocuous and noxious touch via ATP-P2X4 signaling. (Moehring F, Cowie AM, Menzel AD, Weyer AD, Grzybowski M, Arzua T, Geurts AM, Palygin O, Stucky CL.) Elife. 2018 01 16;7. Characterization of a mouse model of sickle cell trait: parallels to human trait and a novel finding of cutaneous sensitization. (Zappia KJ, Guo Y, Retherford D, Wandersee NJ, Stucky CL, Hillery CA.) Br J Haematol. 2017 11;179(4):657-666. 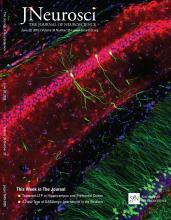 Sensory Neuron-Specific Deletion of TRPA1 Results in Mechanical Cutaneous Sensory Deficits. (Zappia KJ, O'Hara CL, Moehring F, Kwan KY, Stucky CL.) eNeuro. 2017 Jan-Feb;4(1). Sickle cell disease: a natural model of acute and chronic pain. (Brandow AM, Zappia KJ, Stucky CL.) Pain. 2017 04;158 Suppl 1:S79-S84. Selective antagonism of TRPA1 produces limited efficacy in models of inflammatory- and neuropathic-induced mechanical hypersensitivity in rats. (Lehto SG, Weyer AD, Youngblood BD, Zhang M, Yin R, Wang W, Teffera Y, Cooke M, Stucky CL, Schenkel L, Geuns-Meyer S, Moyer BD, Wild KD, Gavva NR.) Mol Pain. 2016;12. Substance P is increased in patients with sickle cell disease and associated with haemolysis and hydroxycarbamide use. (Brandow AM, Wandersee NJ, Dasgupta M, Hoffmann RG, Hillery CA, Stucky CL, Panepinto JA.) Br J Haematol. 2016 Oct;175(2):237-245.